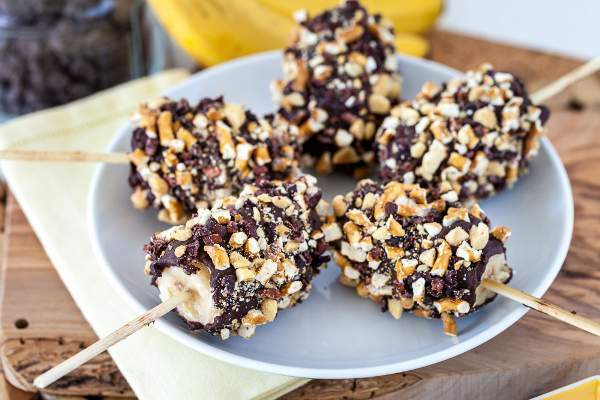 Double-Dipped Chocolate Covered Frozen Banana recipe shared by RecipesnFood. Peel the bananas, Trim the ends and cut in half to make 6 mostly straight segments. Stick short skewers into one end of each banana. 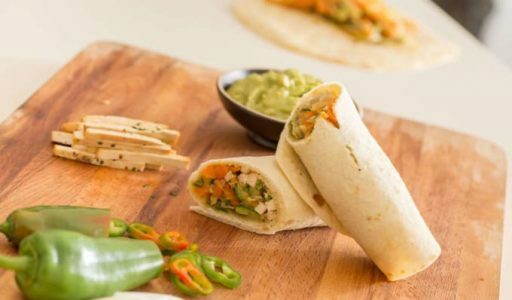 Line a baking sheet with wax or parchment paper. Lay the bananas on the baking sheet and freeze for at least one hour. Meanwhile, mix together the peanut butter, yogurt and one packet of stevia in a shallow bowl. Once the bananas are frozen, remove them from the freezer. Roll each banana segment in the peanut butter mixture and return to the baking sheet. You may have to use a spoon or butter knife to help spread the peanut butter dip on the banana. Once all bananas have been coated, return to the freezer and freeze for another 30-60 minutes, until the peanut butter coating is hard. Mix the chopped nuts, pretzel bits, cacao nibs, and the other packet of stevia together on a plate or shallow bowl. Set aside. Melt the chocolate and coconut oil in a double broiler (or in a glass bowl sitting on top of a small pot of boiling water). Remove the bananas from the freezer. One by one, dip each banana into the chocolate, coating it as evenly as possible. 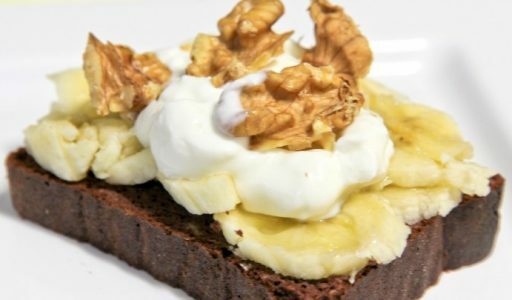 Hold the banana over the plate with the toppings and sprinkle toppings onto the banana until all sides are coated. Lightly place the coated banana on the baking sheet. Once all are done, return the bananas to the freezer. 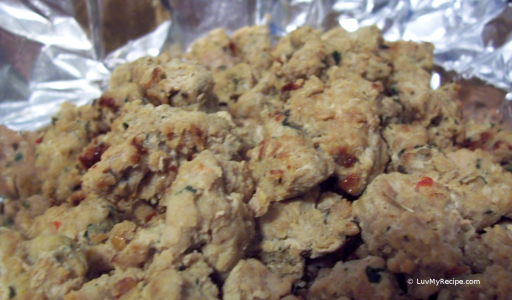 Freeze until set, about 10-20 minutes, or store in an airtight container to save for later.